Here is a list I’ve created for my class that I need to distribute in my next lesson so that the girls can start to play the games I have made for them to practice their present tense and past tense. Hope you find this useful iA! 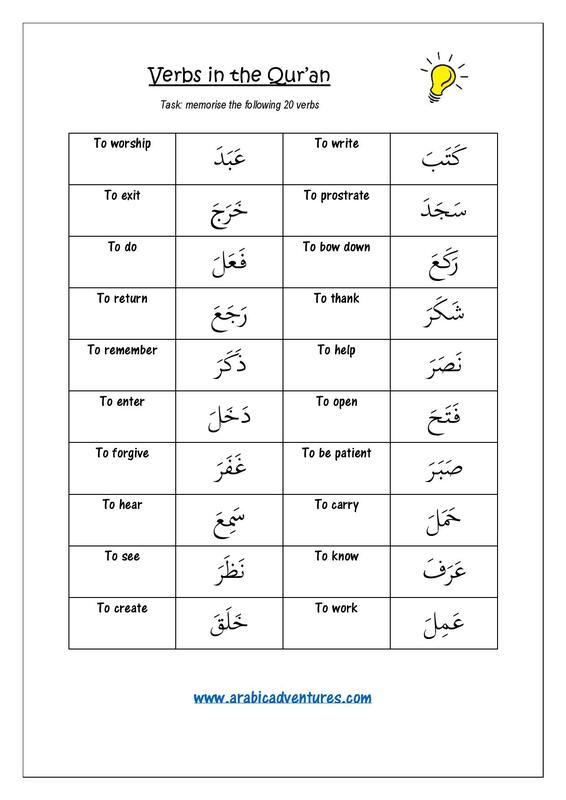 This entry was posted in Arabic Grammar, Arabic worksheets, Games and tagged activity, arabic, arabic flashcards, arabic game, arabic games, arabic grammar, arabic grammar review, Arabic Language, Arabic lessons, arabic past tense, Arabic present tense, arabic printables, Arabic verbs, past tense, Qur'anic arabic verbs, verbs in the qur'an. Bookmark the permalink.